A partnership with the Centre for Social Impact (CSI) and Sky News Business sees a monthly television program around Australian philanthropy. Prof Peter Shergold and Brooke Corte presenting the new television program 'Social Business'. A partnership with the Centre for Social Impact (CSI) and Cable network, Sky News Business sees a monthly television program around Australian philanthropy, corporate social responsibility, Not for Profit activity and volunteering. The monthly television show called 'Social Business' is hosted by the CEO of CSI, Prof Peter Shergold and Sky News presenter, Brooke Corte. The half hour show focuses on issues around social entrepreneurship, public and social innovation and the emergence of new social businesses. Prof Shergold returned to the University of New South Wales to head CSI after 20 years during which he scaled the heights of Australian government administration, most recently as Secretary of the Department of the Prime Minister and Cabinet, as the nation's most senior public servant (2003-2008). Shergold says that one of the greatest challenges for CSI is to create much greater public understanding of the importance and diversity of social business. He says the program seeks to convey the increasing convergence of corporate responsibility, community organisations and philanthropic investment. Program co-host, Brooke Corte says Sky News has always covered news stories about research into the sector especially with their links to business news. Corte says when Shergold approached Sky News with the idea of a half hour show it was clear that they could really spotlight social businesses and enterprises and bring some fascinating people to the show at the same time. She says the Centre for Social Impact will be driving the content of the show because of its networks and expertise and it will also have an educational aspect to it. As well she says it's a privelege to co-host the show with Peter Shergold who is so well respected and admired. The first edition aired on Tuesday 1th May and covered topics such as the productivity Commission's Report into the Contribution of the Not for Profit Sector and the recently launched National Compact. 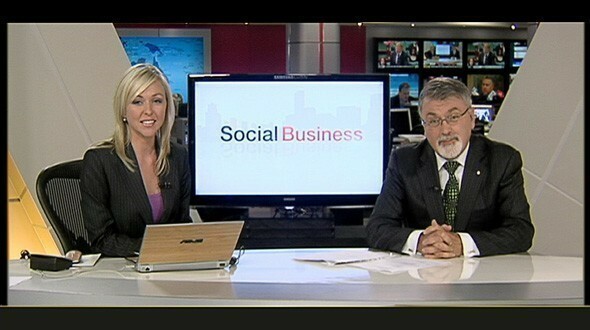 The next edition of Social Business will be on Tuesday 8th June on Sky news Business Channel 602.